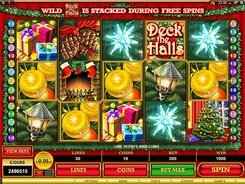 Deck the Halls is a festive, bright and lively slot machine that will make your Christmas wishes come true. 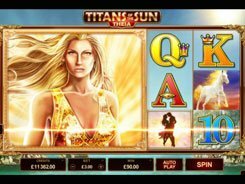 Its thirty paylines arranged on five reels can earn you a 4000-coin jackpot. 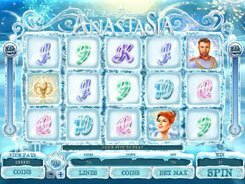 The game is perfect for beginners and low-rollers as a coin value range is as low as 1c to 5c. Deck the Halls logo serves to substitute for other regular symbols to create more winning combinations. 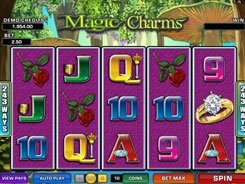 The Bell scatter symbol pays out your win times x100 your total bet, provided two or more of them hit anywhere on the reels. 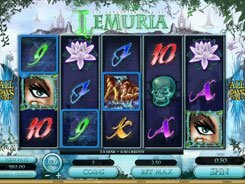 Besides, 3+ Bell symbols activate ten retriggerable free games with a x2 multiplier. 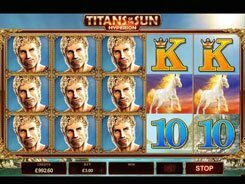 The slot game is fitted with a profitable stacking feature. The Santa Claus icon can stack during the main game rounds and free spins. 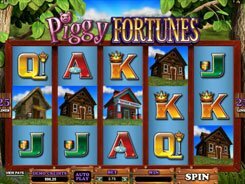 And the Deck the Halls logo can only stack in the free spins round. All stacked feature wins come with a 4x multiplier.